Hmm, GY is now dropping after a major move up to 140 region. I will wait for a reversal signal to go long. Hope it will appear but the ineterst rate coming up later may change things. Ideal level is 136.85, if price gets there and bullish signal appears. I took a long in guppy again at 138.45. Hope I can perform the carry trade and let it run and not take profits too soon again. Pray for the guppy to go up. I am not saying I am not long and have been long from 130. But at this point I am only buying down from 138 every 100 pips until like 135.50. LT I am bearish on the USD. I am studying the SOuth African Rand Vs the USD. I say it too is poised for a fall perhaps not instantly like we could see with guppy. But my orders to buy go back down into the same orders I bought all the way down on last time down to 130. My trouble lies in being a scalper by nature and not holding those orders long enough. I have been looking at the eur/usd I can get positive swap on that long I think, and EU LT I am bullish back to 1.60 and beyond. I havent even looked too closely at the yuppy either. On the daily the guppy had formed a bearish eveing star pattern. It can be ready for a fall like what rrram2 had mentioned. Exited my long yesterday, now waiting for guppy to show me where it intend to go. I feel the guppy can be ready for a fall next week. I will be looking for a long trade in guppy only at around 129.98 region, which is a low point of last year. A short in guppy will be good if I can see a retracement of price in monday trading session. I am doing the old strategy again only going long. I expect guppy to make new lows perhaps before the end of the week. 129 is in the cards again I am afraid. 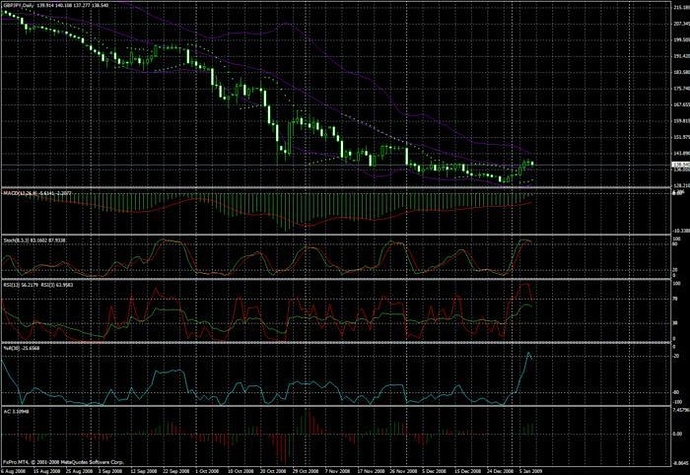 I am selling usd for ZAR at 10.00 and making 15% interest per day! I guess I am getting in deep on the ZAR but those trades are on my demo acct. Currently I am running 3 demo accts, 2 at fxpro 1 at forex both mt4 same platform basically. And 2 live accounts one at forex and one at fxpro. I dont care what the so called experts say about a strong dollar HAH! The dolalr is getting ready to tank!. Oil is also getting ready to skyrocket before the end of next week, perhaps it may not fully launch until the end of this month, which could make those petro shares worth a mil+. As far a guppy goes though I am buying every 50 pips down on the .50 and the .00’s After I am up on those I am setting TS’s at 20 pips, locking in profits. Well I am not back to tell you that I told you so. Of course I should always put m money where my mouth is and should have been short. I will explain why I am not short in a moment. I am also not here to tell you how I always seem to know what cards guppy is holding. If you have been following along I have warned you all several times about BOJ. it is a pretty much done deal now. BOJ has no alternative but to intervene. Not that Japan doesn’t do any business with GB, they do. But what is more closely affecting and will determine BOJ action is the UJ, which now appears to be heading back to test the recent lows around 88.80. With the JPY aT LIKE 15 YEAR highs, is is literally killing toyota. WSJ claims that for every point that the JPY rises against the USD costs toyota over 400 Mil in annual operatng profit. This means over the last 3 or 4 months toyota has lost like 9 billion in annual operATING profits. that is about 1/4 of their normal annual profits. I also mentioned Canon and a whole slew of jap companies who this yen highness is killing. SO what I suspect and they have done it before, do your reaseach. the japs have to do the FRB thing, print a bunch of money and sell it in forex for USD. I am talking a BUNCH. mark my words BOJ will not allow this to continue much further. and when they do. everything will shoot like a rocket against the YEN especially the USD EUR and GBP. And you know all my longs will be good. I dont know why my longs didnt fill at 129.00 bloody lame spreads. Anyways be careful and know soon 150’s will be in the cards after BOJ acts many will be run over by the guppy bus heading north, this is pretty much a sure thing. But dont trade based on what I say. Do your own research aND study your own charts, learn to rely on yoruself and you won’t need me. And while I generously share my time here for free, I am very busy and have a life outside of forex and chasing after dollars, I need time to spend those dollars before they go to the south pole to be used for fuel for fires. And instead of publishing here for free, it would be much more fun if someone was paying me $$$$ for my content. Next week guppy will be shooting for the moon. I hope you were able to get long at 128.98 too. I dont know why my orders at 129.00 werent filled. Guppy has two modes slow and fast. She is on the fast track this week on the way down. And next week she will be on the fast track back up, unless the slow to act BOJ gets up off their duff this week. In case everyone isn’t up on the rates. even though many brookers are still somehow paying a little +swap on usd/jpy longs. I got some at 129 sold them for 20 pips or so. as 129 looks like hard support for now. I think 125 might be possible, so i’m not going to make a leap of faith that this is the bottom (though i did get 3 lots long at 128.91) now set to +10 B/E. Absoultely right Ram, its just a matter of time till she jumps, no ROCKETs north… BoJ cant let this continue. I got a long at around 130.00 region, but I quickly exited for a profit after the price comes back down. If price fails to break yesterday low, maybe I will consider taking a long in tomorrow trading session. I’ve been buying off 129 and closing out at 130, selling off the daily pivot 130.30 or the 30min 50EMA. I’m expecting a decent retrace, possibly tomorrow maybey as high as 132-133. I have been killing guppy in this range with 5 lots at a time. You almost cant lose here unless you abuse your margin. Hard support at 129.00 will hold unless GB is sinking in the ocean. I just rarely talk to myself. My dad always said everyoen talks to themselves and it is OK AS long as you give yourself the right answers. Anyways I want people to learn to rely on themselves and not think they can come here and get free trading signals. like where are you! We are hanging! Are you OK are you coming back what am I going to do with my trades LOL. And I didnt even give it out. But those that seek me shall find me. I do not hide. And some astute google user said hah Elijah is easy to find. Did you try a seacrh for Alpaca Elijah. I mean that yeilds my farm in #8 spot. and in #4 it shows me too on some article I wrote. Only reason ELijah the alapca hits appear above me is that he is actually an alpaca, and I am a human, so Elijah the alpaca gets higher rankings go figure. That other offer never panned out They were going to pay me per pip based on my recommendations and were going to trade millions, but when they found out I dont do Sl’s they went to the moon. Yeah I am in deep at these level on guppy. but my drawdown is less 3 times of the profit banked and I am making huge swap still. And when guppy rocks north I will recover and may even hit a mil, depending on how far she goes how fast and if I sell them off too soon like I always do. I dont know why I have such a hard time holding guppy after I am into a good profit. If I coudl elanr one thing it would be patience. 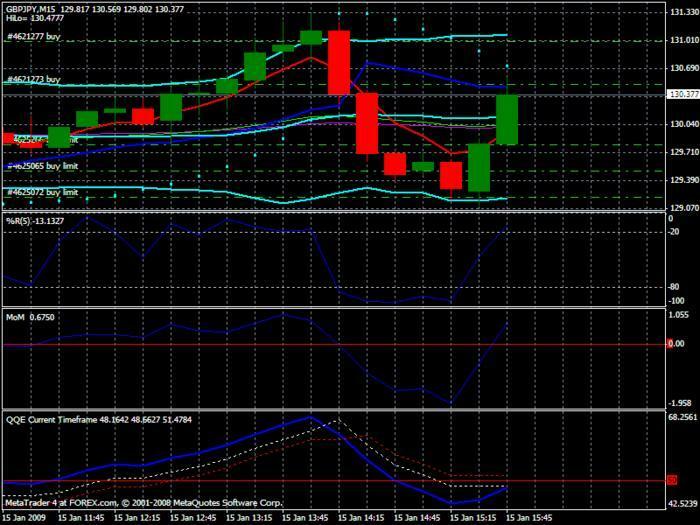 Sometimes now I set my orders and shut the laptop off But when I log in and see I am up 100 pips or more I have to sqr them expecially if I see a possibly retrace down. I guess guppy has burned me so many times in the last 5 years that she makes me nervous when she acts like a psycho. I am not going away from here, for good, just don’t have the time to post the blow by blow. I got 5 lots at 129.80 5 @ 129.50 and will get 5 all the way down into 128.50 I wish we coudl get there. I am in deep on some 5 lots trades which were mistakes up around 140, but the swap on those are over $1000 each now, and I know for a fact that guppy will come back and make those trades good. Just like I know for a fact that silver HAS to go up LT. SIlver cannot stay in the $10 range I dont care how many contracts chase is holding short. I dont have too many guys left in the trading pits. But I can assure you JPY cannot continue at 13,14,15 year highs or whatver it is, It will be the death of Japan. Toyota IS Japan. If toyota goes under everything else in japan will go under. Toyota is severly strugglong and if BOJ cares about anyone they care about Toyota. They don’t care about their people though who walk down the streets in such poluted air that most of them wear face masks. If I get up 50 on these 5 at 129.50 I will set a TS at say 20 pips and go panning for gold or something. That gold chart looks sick. I got one around 800 but now I fear gold will likely hit 700, I dont know what I was thinking I should have stepped back further and studied that 4H a little better. Oh well it is only a mini lot on the gold. after I do you know I am reentering orders to buy the same thing again and do it all over again. forget 125 it is not in the cards GU is at hard support and heading up and UJ isnt going to drag guppy down. renetered longs at the same levels 129.80 129.50 129.20.
last post for now I think. I sold the 130.50 as I saw guppy is going to retrace down some look at the chart see what you can figure out. much better than any qqe, but I guess qqe is for LT traders. Lets not forget I am just a scalper. I only have qqe as I have been studying it to see if it is of any value to me and it hasnt been so far I dont think. …and even so my grandmother was always telling if you talk to yourself at the time you are having a discussion with the most intelligent person available. I was off for some time because of the work and family bussines. I still have to keep the permanent job (hopefully someday I will say thank you to my bosses). So Itrade long time frames as I have slight chance to do an intraday trading (and when I’m doing it I’m losing more than gaining so it clearly doesn’t fit my trading personality). 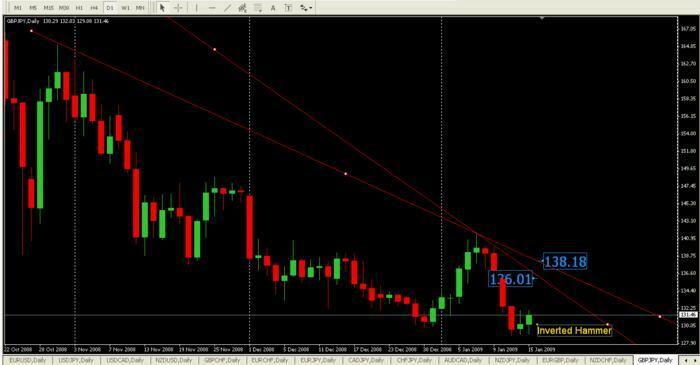 However scalping or swing trading would be my prefered method as this can make pips faster. Here is also cold and gloomy. HMH is covered in electric blankets and her state pensioners are being brought into ER with body temperature close to freezing point. The housing market just started to sink properly. I personally think most of this has been calculated into price of Cable for now. So now I’m getting ready for some rebound in Cable (maybe till 1.5000). But long term is bearish. ), to test 136 and 138 levels. Please see attachment. I hope to see you mates here and exchange the views. oh 129 is magic again today, long picked up this morning, closed out at 132 (131.87 to be exact). I shorted from 131.8 for the asian session comming up, looking for a retrace to the daily pivot (130.5). London should send her up again, i wouldnt be surprised to see 140, though not straight away.